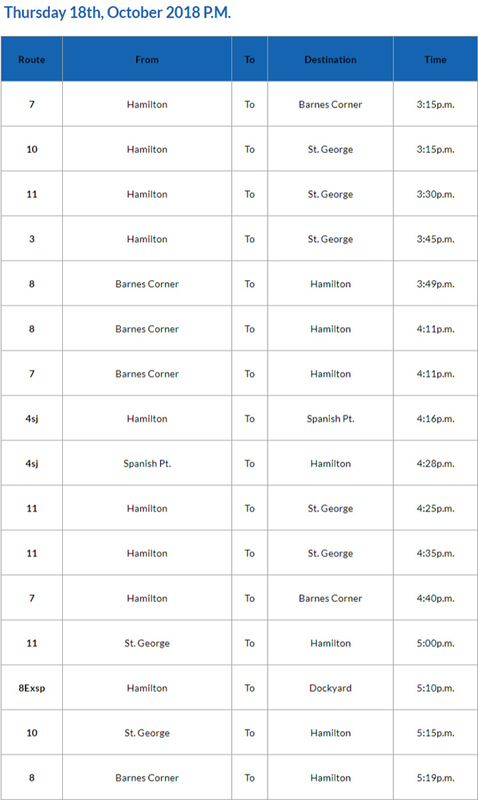 [Updated] The cancellation of bus runs continue, with the Ministry releasing a list of bus cancellations for this morning [Oct 18] with three bus runs cancelled so far today. Update 4.04pm: The Ministry has released the list of bus cancellations for this afternoon. There were 3 runs cancelled this morning, 16 cancelled this afternoon, for a total of 19 cancelled today. “So far today”. In reality, that’s 3 runs cancelled in 45 minutes. Sad part is the transport minister, or so called transport minister is still smiling and collecting a wage. He couldnt name 2 things positive he has done that benefit ALL Bermudians.